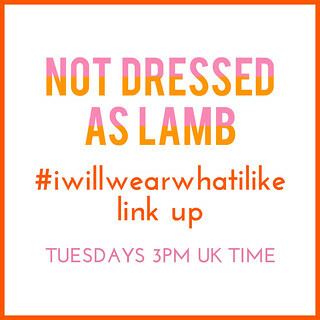 This is my final post for Vintage Week on Not Dressed As Lamb! So far I’ve shown three outfits (see 1, 2, 3) styled with gorgeous vintage pieces; published an interview with the owner of Scarlet Vintage with tips about buying vintage; and today I’m sharing my tips for buying vintage on eBay with you. 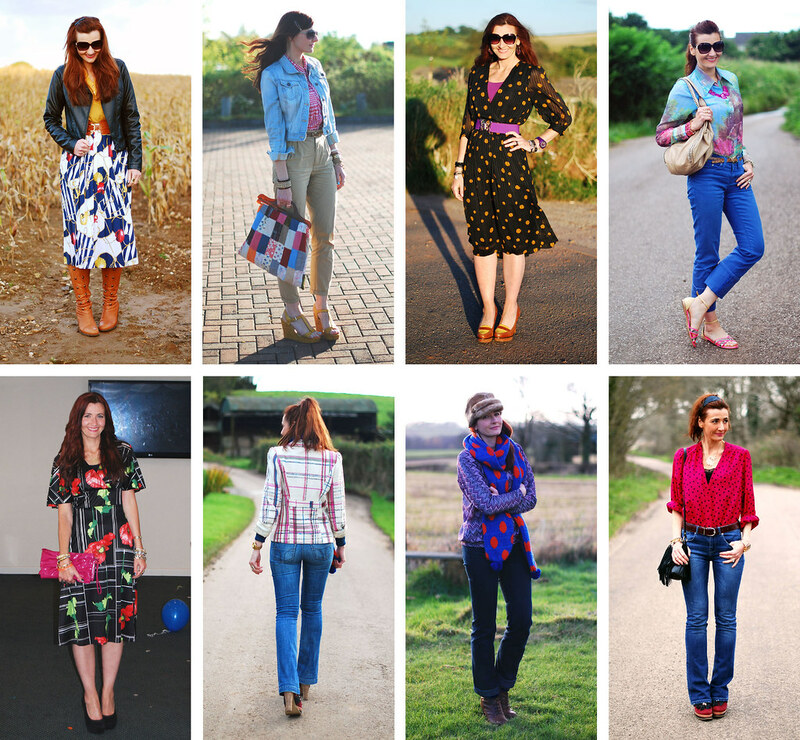 All the outfits in the image above feature an item I’ve bought via eBay (with one exception) – and I have a lot more vintage eBay purchases in my wardrobe not shown here. 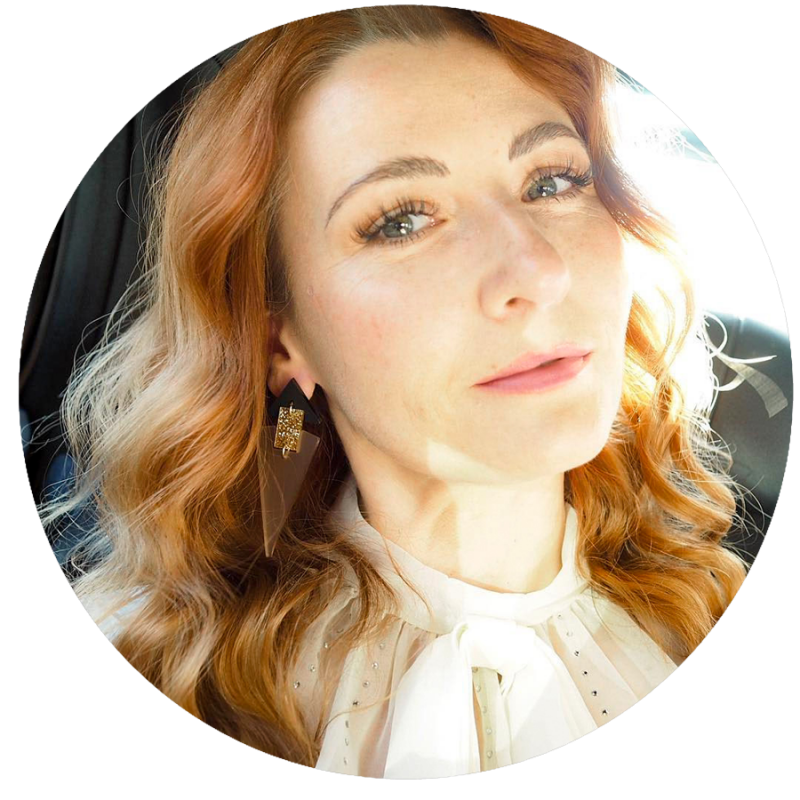 I know a lot of people are very, very nervous about buying anything clothing related from eBay – hopefully I can give you some pointers on how to avoid disastrous purchases! *all bought on eBay except the Lacroix jacket, which I bought at a vintage fair. This I did buy with “investment” in mind, hence me paying a higher price than the rest of the items. Some of my favourite items in my wardrobe are things I’ve bought from eBay – mostly vintage, though I use the term “vintage” loosely. Several things I have might be from the 1980s or 1990s (so not strictly vintage as they’re less than 30 years old), but if I’m paying a pretty low price for them (pink polka dot blouse for £8?!) then I’m happy that they may not be strictly vintage like you’d find in a vintage shop. Dresses are my favourite vintage items to buy as they’ll always be one-of-a-kind, so they’re perfect to wear to a wedding: you can guarantee you won’t be wearing a dress the same as anyone else. 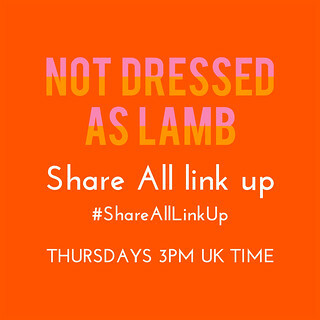 I also often envisage what a dress I’ve found will look like once shortened – dresses from the late 1960s or 1970s often look better shorter. 1. Have a budget in mind. Set yourself your absolute top price and stick to it – the last thing you want to do is get caught up in the excitement of bidding and go way over the price you’re prepared to pay. 2. With vintage you will probably have to factor in the cost of dry cleaning. Whilst a good seller will give a detailed description of the item’s condition, vintage can often have a musty “attic” smell. 3. Read the feedback for other items sold for the seller, don’t just look at their percentage rating. There are a lot of vintage shop sellers on eBay, so sometimes it’s safer to stick with those rather than private sellers who sell anything and everything. eBay shops often offer refunds and give a lot of measurements for piece of mind, which is good if you’re bidding for clothes for the first time. 4. Don’t chicken out just because you’re worried it may not fit or suit you – it’s worth the chance, especially if the price is good! Remember you may be able to resell it on eBay and perhaps make a profit. I have just one “mistake” that I’m going to resell – but that’s not a bad percentage considering I’ve probably bought about 20-30 items over the years. 1. Start with your basic search: “Vintage dress”. My results: 109,801 – this needs to be whittled down drastically. 2. Use the minus “-” sign to get rid of search results you don’t want, e.g. -red -white -black (colours you don’t want), the word “-style” (to eradicate faux “vintage style” that’s not real vintage), -12, -14, -16 etc. to get rid of sizes you don’t wear. 3. Select a specific category on the left: e.g. Vintage Clothing & Accessories > Women’s Vintage Clothing > Vintage Dress to narrow the search further. 4. In the price range box, put in your top price you wish to consider. Don’t forget the final bidding price will most likely be a lot higher, so I kept my top price low (£20). 5. Select specific eras by ticking the check boxes by each decade that you’d like to consider: e.g. 1950s + 1960s + 1970s. 6. If you’re in a rush for something, sort the results by Time: Ending soonest. If you have plenty of time and want a bargain, sort by Price + P&P: Lowest first. Some sellers really overcharge for postage and packing, so always take that into account if you’re looking at a 99p dress that seems like a real bargain at first glance. 7. Scroll down underneath the listing for any specific item listing: there’s a “See what other people are watching” scrolling feed – this may show things that escaped your search results. Depending on the price they go for eventually, I would happily buy any of these… how gorgeous is the Mad-Men style dress and jacket?! If you really like the way a seller has presented something – lots of details photos, thorough description, excellent feedback rating – then it’s a good idea to “Save this seller”, then you can revisit their items any time you like and see what they have to sell. There are a lot of vintage shop sellers on eBay and I have several sellers saved because I trust their listings. Everyone has their own way of bidding, but personally I don’t think there’s any point bidding until the very last minute as you will simply push the price up unnecessarily against other bidders until the listing ends. I have never once lost an item I’ve set my heart on by being outbid because I’m a ruthless, heartless eBay demon (I’m not kidding)! 1. Decide on the highest price you are willing to pay. If you bid in the last few seconds it gives you no time to change your mind and go over that price. Factor in the price of post & packaging. Never, ever decide on a round figure like £20.00, £25.00 or even £26.00. Because if someone else’s highest bid is also £26.00, you may lose it if they got their bid in first. Some people add a penny to avoid this, and some people add another 10p, but I add another 11p. Plus £1. So when I think I’d pay £20 tops, I really would, if pushed, actually pay another £1.11 to ensure I get it. Make sense? Enter your highest “willing to pay” price and click on Place Bid. Do this a few minutes before the end of the auction – it’s not binding at this stage. 3. Another box will open up – it will count down the time remaining (assuming you’re doing this with a few minutes to go). THIS is the place you click on Confirm Bid when you’re ready to place the bid – and this is where I leave it until 8-12 seconds remaining! If you click Confirm Bid you are bound by the Ts&Cs to pay for the item at this stage, so only do it if you’re 100% sure that you want the item and at the price you’ve entered (plus P+P). 4. The only way you are going to lose the item at this stage is if someone else has bid a higher maximum price in advance. Leaving it 8-12 seconds before gives enough time for your bid to be registered, but no time for anyone else already bidding to go back and try to change their bid to a higher one. Told you I was a demon…! Don’t forget… just because your highest bid was e.g. £26.11, you may not have to pay that much. If the next highest bid was a lot lower, eBay will work out the next valid bid on your behalf up to your maximum – so if someone else’s maximum bid was only £14.00, you may only have to pay £15.75 even though you were willing to pay £26.11. 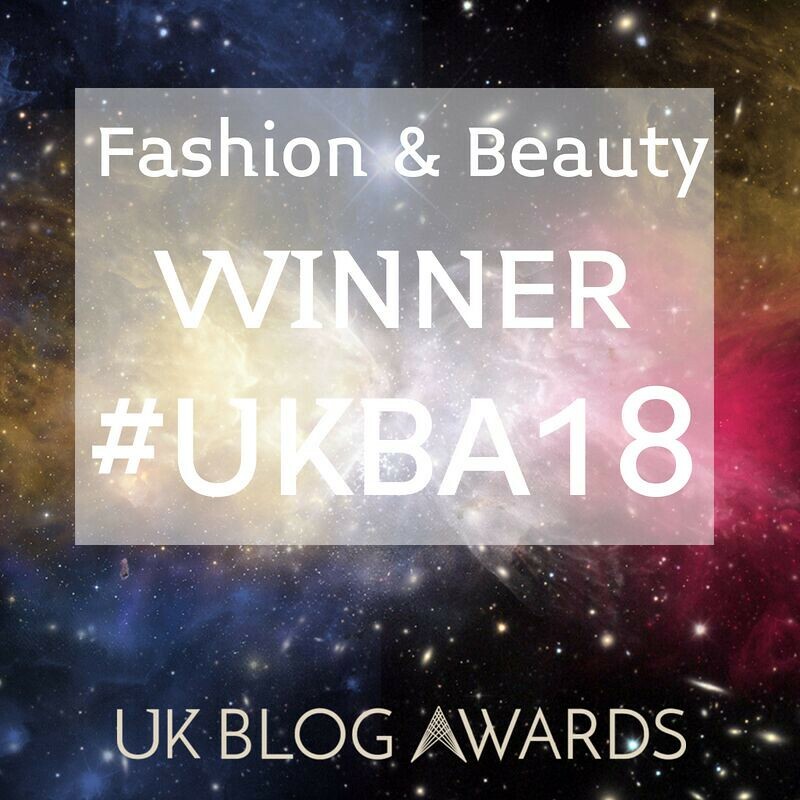 Hopefully you are now the proud owner of (or you will be once you’ve paid and received it!) a great item of vintage clothing. 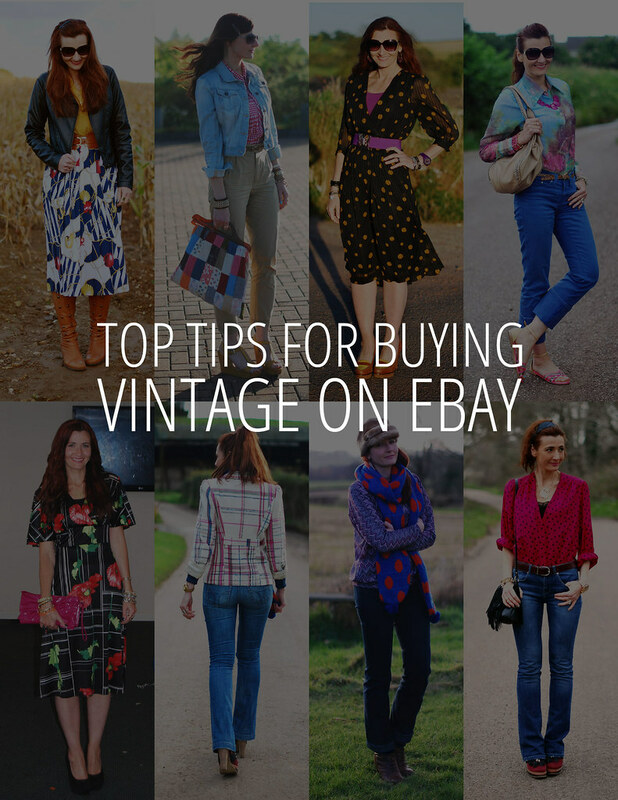 These tips could be applied for anything you’re buying on eBay – not just vintage items – so I hope it gives you some tips on how to get the best out of it, because eBay is amazing if used to its full potential. So let me know how you get on – shopping on eBay generally, or specifically buying vintage – I’d love to know in the comments! I love your tip for not bidding a round figure-never thought of that! Great Ebay tips! I am a horrid bidder 🙁 I love that nautical pleated skirt!! I really enjoyed your focus on vintage this week. Very helpful post, Catherine! Well, done! Great advice, Catherine. I've purchased lots of wonderful vintage pieces on eBay too – what a treasure chest they are. Awesome search tips for Ebay! Usually I'm worried that if I'm too specific I'll miss out on something fantastic that I hadn't even thought to search for, but then my search has 5 billion results returned and I get overwhelmed by going through all of them. Lesson learned, be specific! Great and useful post, Catherine.